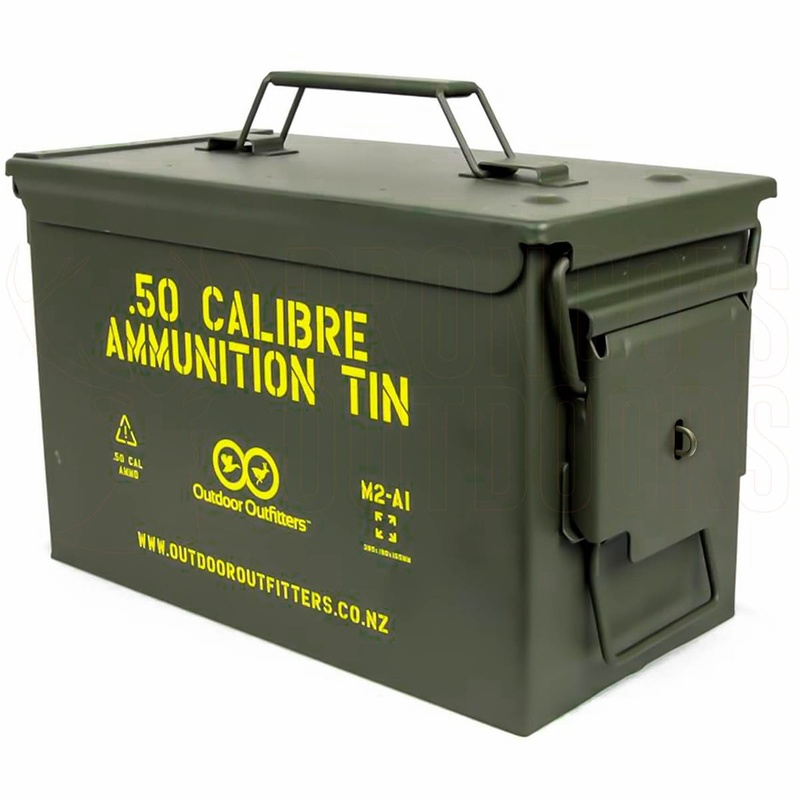 Brand New 50 calibre lockable ammo tin with hasp installed, brass padlock and keys commonly referred to as the 50 calibre tin but used for grenades, 556 MM Blanks etc. - Waterproof and secure with brass padlock. - Lid clamps on tightly. - Great for tools, ammo and other heavy items.